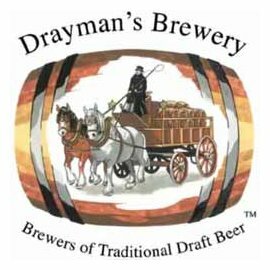 The existence of Draymans Brewery and its owner Moritz Kallmeyer first came to my attention in a MM g-mail from Lex sometime in 2007 advising he had been contacted by Moritz who needed some help with a single malt whisky he was distilling in his micro brewery situated in Pretoria, South Africa. He may even have sent a tasting sample to Lex and this was the result of a meeting with Dave Broom at Whisky Live in Johannesburg in 2006. JB – You started this brewery in 1997 and then you went onto Whisky. MK – Yes I do enjoy quite a few whiskies. JB – Do you have any preferences as to the style? MK – I think the first whisky that I sipped was actually one that my cousin bought me, a bottle of Laphroaig and that was ± 15 years ago, so the first whisky I tasted was Laphroaig. So I didn’t go into the low flavour blended whisky I immediately started with full flavoured whiskies and Scotch whiskies. That made me like the idea later on to make it myself. JB – Yes we all have that defining moment when we taste that malt whisky and go WOW, this is something I want. MK – I think beer didn’t make it on its own being on the front doorstep of one of the biggest major breweries in the world. Being a craft brewer and brewing unique styles of beer didn’t bring in enough money to survive in this business on its own and I was constantly looking at ways of changing the finances around; and one of the wine guys that actually did a brewery course with me mentioned that they distil all the old left over portions of wine that are not good quality wine but are perfect for making potstill brandy and they sell that to Distel, so I thought if wine makers can do that it made me start thinking, and I could never pick up that amongst brewers. JB – Your barley you are getting from the George area? MK – Yes my barley is a mixture at the moment called malted at this stage because it is already malted when I receive it. I don’t have the option of malting it myself, that is a job for the maltster nowadays; I get the bulk from either Caledon or from a source that Caledon imports itself, so Caledon malt is not only locally made, they import Canadian, European, English and you can buy a combination of malt from Caledon. It is not all locally grown. JB – Now you also talk about your peated malt, you get that from where? MK – Yes I get that from Fawcett’s. Fawcett’s – a maltster in the UK – only stock light peat malt (about 12ppm phenols). But unfortunately the peat malt supply worldwide is a big problem and I can’t import. Bairds is the best peated malt supplier and they supply all the Scotch distilleries with excellent and graded peat malt; if you want 10ppm, 15 or 20ppm and I want the heavy 20ppm phenol heavily smoked peated malt and they can’t supply me because they have standard contracts they have to stick to. JB – How are you solving this problem? MK – Well I’m looking at the contacts that I’ve picked up now via a friend that toured Islay and Laphroaig so they might be able to help me; in the meantime I might need to add to the buying list casks of Laphroaig to convince them that they should sell me some peated malt, I think I’ll do that. This lead proved fruitless in the meantime. JB – Moritz the water that you use here you say is local water – where does it come from? MK – Local municipality water is what we call Vaal dam water, the big catchment area at the Vaal River and the reason why one of the biggest breweries in the world chose to be in Pretoria is that the water is excellent brewing quality. It is soft to medium, not hard water and our chlorine levels are (because the water travels from the Rand Water Board which is in Jhb) to local reservoirs before we get it, the chlorine level in the water is already low once it gets to the brewery or the distillery. All I have to do is to remove the remaining chlorine and the sediment which is picked up in the lines and to do a very small softening portion of the water before I can use it and it makes excellent quality brewing and distilling water. JB – How do you soften it? MK – I soften by heating it up to about 90 degrees Celsius and by removing some of the carbonates overnight. JB – Now you do your own mashing by hand with a paddle; now what becomes the pot ale, what percentage of the liquid in your tank eventually ends up as useless pot ale? MK – As pot ale? Bear in mind that there is spent lees which is the portion after the low wines have been distilled which cannot be used as anything, that goes down the drain; it is just flavourless water – the alcohol has been separated and all the flavouring or the congeners have been separated; but the first distillate that you do with the wash, bear in mind that the wash contains about 8-9% alcohol, when that is pumped into the pot, the portion that remains is very high in nitrogen, high in acids, nutrients, proteins and carbohydrates, so that is excellent cattle feed. That I pump into drums and sell as cattle feed. JB – What percentage is that? MK – Percentage? Well if you take a batch at say 1000 litres, then 8% of 1000 litres is pure alcohol. JB – Your still is heated indirectly? MK – Yes with water jackets. JB – On your website you mentioned that your whisky was reduced to 45%. You’ve changed your mind now – you’re not doing that anymore? MK – I’ve done an experimental batch to see what the wood influence would be at 45% alcohol; other than I thought I’ve got enough wood influence as it is so I don’t have to go into low alcohol storage of my end whisky and I’ve reverted back to the original Scottish practice of 68 to 72% alcohol. JB – You also mention an interesting fact that the alcohol percentage in SA, because of the climate and height where we are, increases rather than decreases in the barrel. MK – Yes we are in a lucky situation that I’m not losing any alcohol I’m losing water from the barrel; the level drops in the casks but that is not alcohol. In Scotland the reverse happens, the level in the cask drops but that is alcohol and there is a touch and go situation after about 25 years in the cask it drops below legal selling strength – so they release it or they have to monitor the cask quite carefully so that you filter and bottle it just in time before the alcohol drops too low. JB – Now your barrels you get from the Cape; they are French barrels? MK – French Oak – quercus alba which is American and quercus robur is the French Oak. JB – Have you ever thought of using Brandy barrels? MK – Yes, I was trying to get hold of Limousine (brandy) barrels which is also French Oak, called Limousine barrels when they contain the brandy, but brandy and whisky have the same situation you can use the barrels for 50 years so they never get thrown out; you have to pull separate strings with friends to be able to get them. JB – When you get your brandy barrels that’s the reason for a different name on your labels. MK – Yes that’s an idea – a different finish – this guy Lex asked me what type of finishes or expressions I would be aiming at. I’m too small at this stage to go into those delicate fancies but yes hopefully I will have a heavily peated expression somewhere in the future and also a low peated expression. JB – When you talk about Lex do you mean Lex Kraaijeveld and how did you come across his name? MK – Yes he was put onto me by Dave Broom at the last Whisky Festival in Johannesburg. I was sitting drinking whisky and Dave Broom walked right up to me and my friend and offered us a whisky (can’t remember the name of it at this stage) and after quite a few I then said you look familiar aren’t you the guy that writes in the Whisky Magazine and he said yes and we started chatting; the next moment we started talking about my venture here and the next day I ended up giving him samples of my new make of my very young whisky at that stage; he said let’s speak to Lex and I sent Lex some samples of whisky across in very sturdy packaging so they did arrive in one piece. JB – Your storage, well it’s a combination it’s not actually dunnage, it’s not an earth floor and it’s not very high racking. MK – I suppose I’ll go 3 up because I don’t have a high building, it’s just convenient; if I go up 3 then I’ll have more space because my place is very small and space is a real problem. JB – They are stored horizontally and not vertically. MK – I store Scottish practice, horizontally which might become a problem because working in Africa you might end up having someone opening the bung and helping themselves to a wee dram. I’m thinking of a method of locking it up in the horizontal position or by at least getting the bung in so good that there is no leverage to get it out. JB – Moritz, tell me about your first release of single malt whisky. MK – It’s due in January 2010 to coincide with the soccer World Cup in SA and will probably be in the range of 4-6000 bottles of one expression so it won’t be single cask bottlings. I initially had this vision of single cask bottlings but since my distillery is so young and I don’t as yet have a defined distillery character which I can relate to I’ll probably dump all the casks and then blend it together and finish it as one expression of single malt which will be Draymans Single Malt or whatever name I choose at that stage, but it won’t be single cask and it won’t be cask strength so it will be at 43%. JB – Your solera process – what is the base – what whisky is your favourite there? MK – On the solera process you’ve got what you call packing whiskies, you got character whiskies which comes in ever diminishing qualities so your packing whisky will be a high grain based whisky meaning whisky containing at least 80% Scottish grain whisky and 20% malt, and then diminishing into smaller quantities I especially like a 5 year old whisky which is a pure malt whisky, which is the character-giving whisky and then your final flavouring whisky which really gives it it’s defining character before the wood influence becomes prominent is Laphroaig, although there are some other single malts in there as well, I probably have about 50 different whiskies in the solera process but the whisky which is most prominent from a cost prospective is Laphroaig 10 year old. JB – Moritz a final question – have you ever thought of distilling grain whisky so that you can make your own blend – because you would then be one of the few distilleries to do both? MK – Yes that’s an interesting point because there is a guy in Ventersdorp of all place in the Western Transvaal, who distills grain mielies from maize using the same type of maize as the Americans in this instance which is the yellow maize kernel or they call it corn in America but he uses yellow low-grade mielies. He first makes malto syrup from it, he actually has an in-between step because then he can also sell it as malto syrup – it’s an enzyme process thing. Whereas the grain distillers boil the whole maize kernel then release the pressure and then it pops and releases the starches. You need very expensive equipment to do that so the intermediate step or cheapest step the way he’s doing it, make the syrup from it and then ferment the syrup so it’s pure grain whisky. So I’ve been in discussion with him to get the grain portion from him and I can buy aged 3 year old grain from him but the next step would be – yes you’re right I’ll make some grain portions here but I need a larger store room. I need more space. JB – Moritz thank you very much. It’s been a pleasure meeting you.